RCP757788YW Features: -Material(s): Plastic. -Made in the USA. -Capacity range (volume): 26-35qt.. 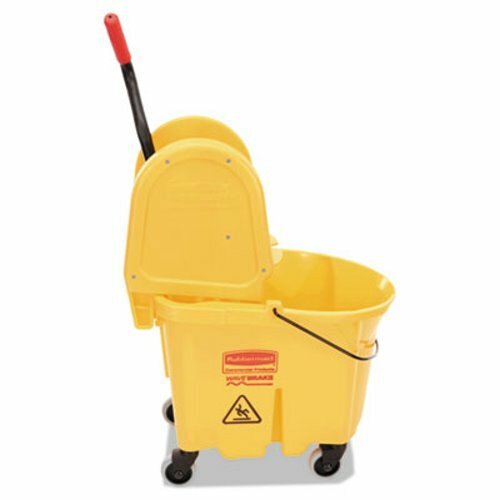 Product Type: -Mop Buckets. Country of Manufacture: -United States. Dimensions: Overall Height - Top to Bottom: -20.6". Overall Width - Side to Side: -16.6". Overall Depth - Front to Back: -21.3". Overall Product Weight: -14 lbs.